Description: 4-7.25 in. 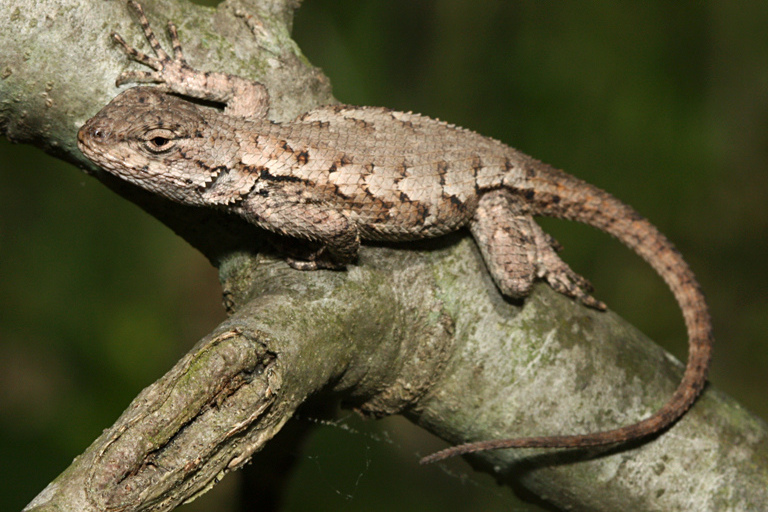 (10-18.4 cm) The eastern fence lizard is either gray or brown with rough scales and a dark line running along the rear surface of the thigh. Females are usually gray and patterned on their back with a series of dark, wavy lines. Their belly is generally whitish with scattered black flecks; they have small amounts of pale blue on the sides of the belly and throat. Males are usually brown and marked on the underside. During the summer males also have greenish-blue and black coloration on the sides of the belly and on the throat. The young are patterned like the female but are usually darker and duller. 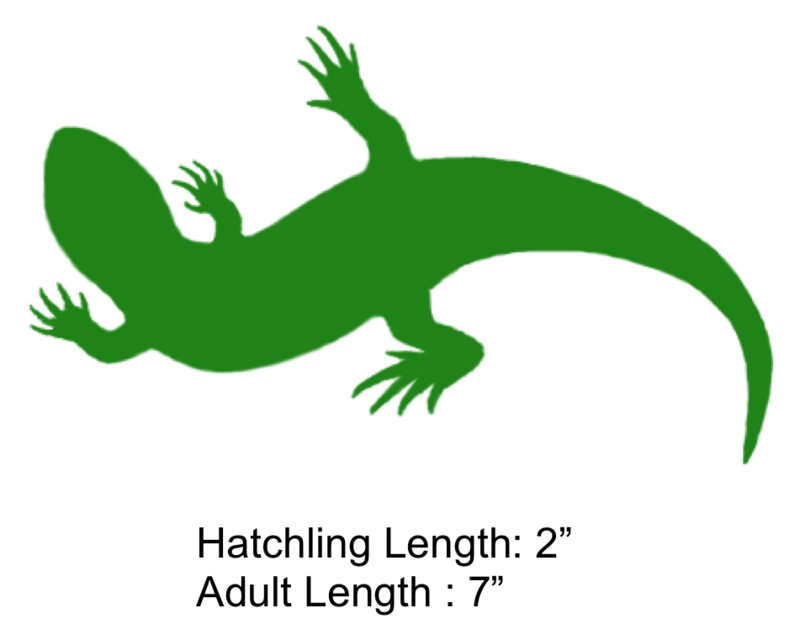 Feeding/Diet: Fence lizards mainly eat spiders and various species of insects. 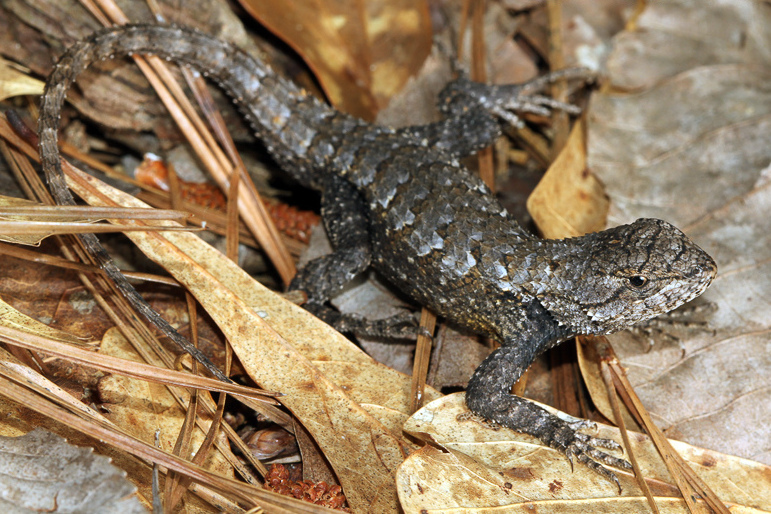 Habitat/Range: Fence lizards can be found throughout North Carolina except for the Outer Banks. 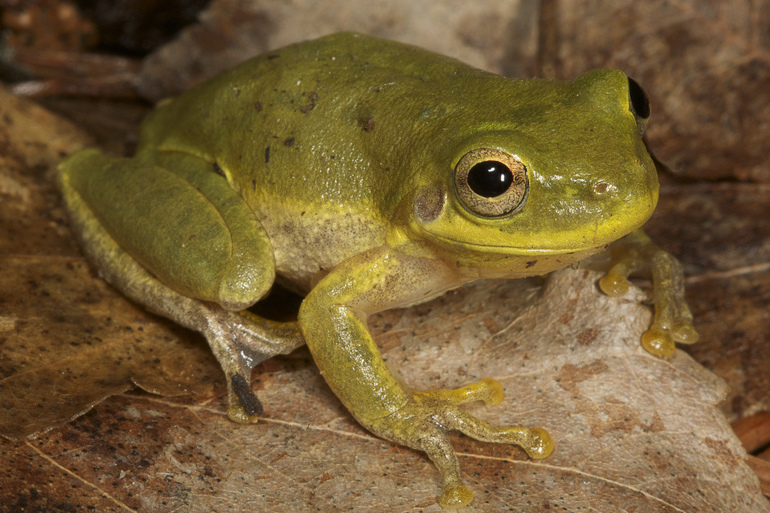 They are most common along forest edges and often inhabit rotting logs or stumps. As its name suggests, this species is also commonly seen on fence railings. Reproduction: Fence lizards mate in the spring and 3 to 16 eggs are laid in late spring or early summer. The young hatch in summer and fall. 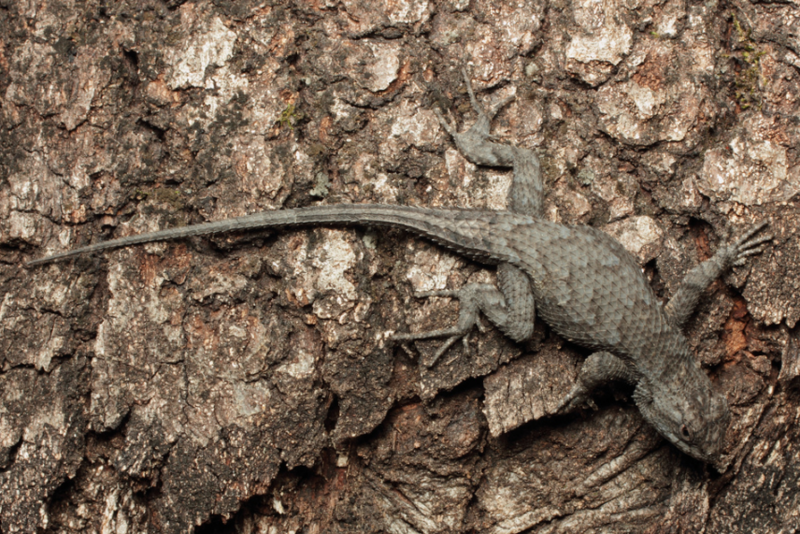 Miscellaneous: When surprised, these lizards will dash for a nearby tree, climb a short distance, and then hide on the opposite side of the trunk from the intruder. 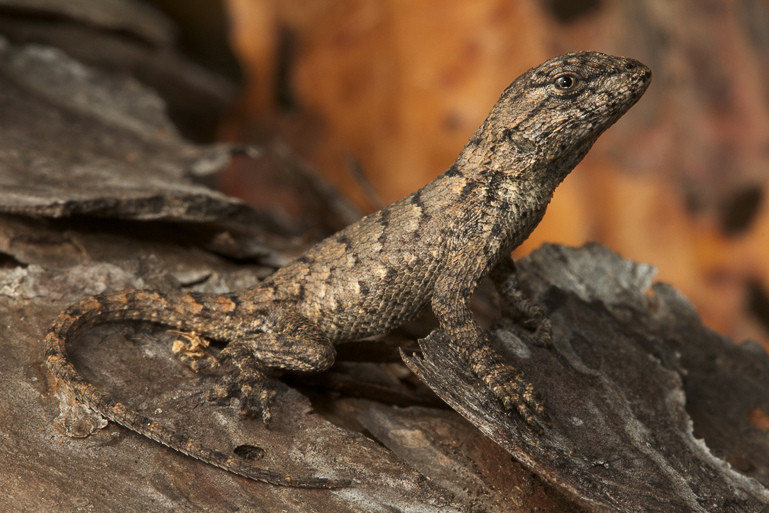 Fence lizards are active all year in warm weather and males are territorial. The shaded region represents the range of the Eastern Fence Lizard in North Carolina.